So what is it about chocolate? I s it that it's readily available...especially in most offices? Is it that it comes in so many form - bars, kisses, chips, blocks? Is it the mere fact that the word Chocolate is both a noun and an adjective? Who knows! What I do know is that chocolate for me is pure happiness. For the last three weeks I have made some serious strides in eating a healthy, balanced diet. Part of my eating regiment has been to enjoy a yummy piece of chocolatey goodness each afternoon. My chocolate of choice today was a Ghirardelli dark chocolate square. There was something so amazing, so cathartic about eating that square today. How could a piece of candy have such an impact that hours later I am still thinking about it? 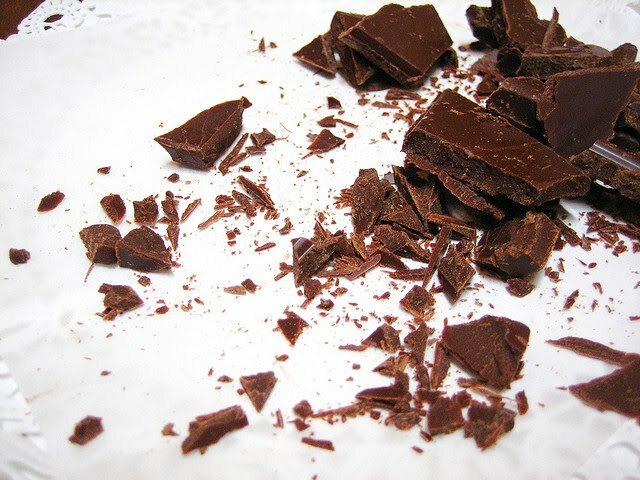 Let's look at the reality...it's chocolate...it's got antioxidants, it's good for your heart, it stimulates endorphins and it has...even been shown to help lower levels of bad cholesterol. Wow...it's not just candy...it's a miracle food. So cheers to having a little happiness and a square of chocolate each afternoon!